This post is part of the series in Book Recommendations by Age and Month of the Year. 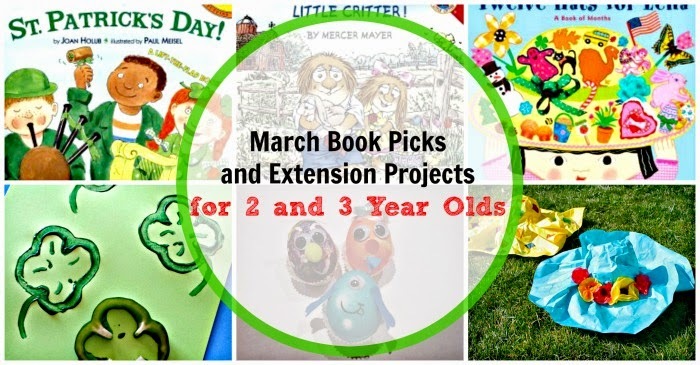 It has March book recommendations for children who are 2 or 3 years old. 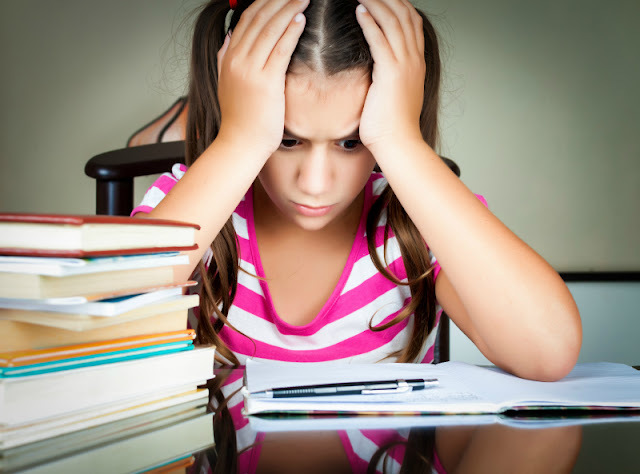 Each book is paired up with additional resources that you can use to extend the story further. My daughter really enjoyed Maisy books by Lucy Cousins when she was 3. She was already starting to read at the time, and these books make good early readers, because there is not a lot of text and many words can be guessed from illustrations. Maisy’s Rainbow Dream is a cute book in this series to read around St. Patrick’s Day and reinforce rainbow colors with young children. Fun at Home With Kids have created a round up with variety of rainbow activities for babies, toddlers and young preschoolers. Again, I want to recommend an easy, but spectacular activity – a rainbow suncatcher from Babble Dabble Do. Twelve Hats for Lena by Karen Katz is a great book to reinforce months of the year with toddlers and young preschoolers. The text is minimal, and the attraction of the story is in its illustrations of various hats decorated to represent holidays of that month. In the end of the book there are instructions on how to make a cardboard hat, but I think these paper mache spring hats from Buggy and Buddy would be a great (parent-led) project to do with this book. 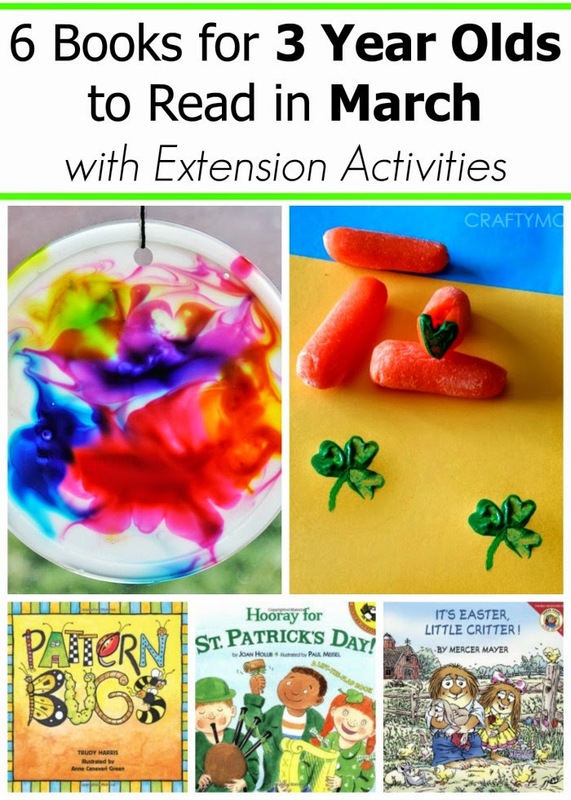 Depending on the year, Easter happens in late March or in early April, but most kids, even in non-religious families like ours, are eagerly responding in March to books and activities associated with this holiday. Just like St. Patrick’s Day book, It’s Easter, Little Critter! by Mercer Mayer doesn’t focus on the reason for the holiday, but on celebration itself. Toddler Approved has several Easter egg crafts for toddlers and young preschoolers – some with real eggs, and some with paper. These Stinky Face Eggheads are so much fun! We started introducing math concepts very early to Smarty, and she always enjoyed “living math” books. Pattern Bugs by Trudy Harris was one of her favorite books when she was 3. The book introduces patterns not only in text but also in bright and cheerful illustrations by Anne Canevari Green. The children will enjoy reproducing patterns in the book or making up their own – This Reading Mama has great advice on exploring and creating patterns and free pattern printables that can be used with Pattern Bugs. What can one smile do? When Amelia Smiled (a book by David Ezra Stein), her smile sent a chain reaction around the world. It would be a good introduction to geography and maps to read this book with a map of the world and trace how good deeds and kindness travel around to different places and different continents. Smile is really the easiest act of kindness to give! Want an extra unusual smile? Have your kids pose for these “chin up” portraits by Paging Fun Mums and watch their reaction when you show photos to them! What Is Your favorite spring book for toddlers and young preschoolers?